I have been practicing double stops more and more lately.. I notice i naturally put lots of bow pressure..Am i supposed to use lots of pressure or am i doing this to compensate for my angle not being correct..
You don't need "lots" of pressure, but consider that your bow pressure is distributed across two strings rather than one. On the other hand, you have two strings vibrating and producing sound. I find that I use a slight increase in pressure. It is also difficult at first to get your bow angle correct. Don't use a lot of pressure to make up for that. The funky sounds you get when the bow angle isn't correct give you the feedback you can use to make corrections. I saw a youtube video by a guy called World Fiddler, who said that when bowing double stops you should think of playing an invisible string that lies between the two strings that you want to play. It actually seems to work pretty well for getting the bow angle correct without actually thinking about it. soma5's answer was a good one. Use enough pressure to ensure that both strings are resonating which tends to be slightly more pressure than usual but not a lot more. Also, use as much pressure as necessary to achieve the dynamic that you are seeking. @ Uzi, World Fiddler is also a member here at Fiddlerman. It seems to work for me but anything would be an improvement. Yes, I did say that. When bowing a single string, there's quite a bit of angle-change range in that bow action, and the limit at either end of that range is reached when you accidently bow an adjacent string. When bowing two strings together, that angle-change limit is zero, so it can be a little bit more tricky than bowing just one string. If you think about only bowing one string (an imaginary one between the two you are playing), it can help you to focus on what you are doing - so, as your bow travels, instead of thinking, 'I'm bowing a D and an A and a D and an A and a D and an A', you can think 'I'm bowing DA and DA and DA and DA', because I'm trying to hit that (imaginary) string that's in the middle of DA! You can vary bow pressure depending on what you want. Two notes are louder than one, so you may want to decrease the bow pressure to get a quieter sound. Or increase the pressure if you really want to boogie! @Worldfiddler Thanks for the tip Jim, it really does work without having to really think about the bow position much at all. @Oliver I tried decreasing the bow tension and it works!! Thanks. Is it legal? Meaning, if I am able to join in at a jam will fiddlers frown when I loosen my bow? I loosen my bow too when/if I'm having trouble with double stops. If you're in a jam with other fiddlers, no one will care about your bow, only your ability to keep time and hit the right notes. At least from my experience. I think reducing bow pressure is what was meant, not bow tension. You should never have to adjust bow tension to compensate for anything. things i would like to learn soon..
Another good tip is to make sure you are playing with the hair flat on the strings, I have spoken to a few orchestral players who learned to play with the side of their bows tilted I didn't find that method very effective when it came to double stops. I'm no expert so experiment. While I may not be as tenured as some people, I can say that if you are doing double stops then you are probably fiddling. 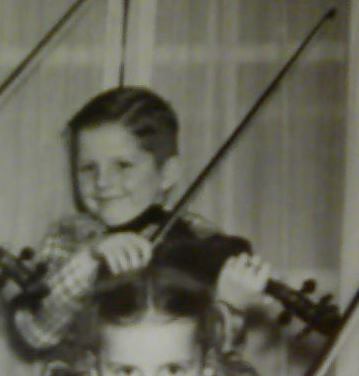 Generally speaking, myself and other fiddlers who I have played with do not tighten our bow hair very much at all. If we were to play a classical piece then we would tighten it up and use the side of the hairs like rabbittavo said.